Contact Us if you have forgotten your password or have any queries. © 2019 SKOOLOPEDIA. All RIGHT RESERVED. With our strong network of parents, many providers have benefited from Skoolopedia by listing their offers. 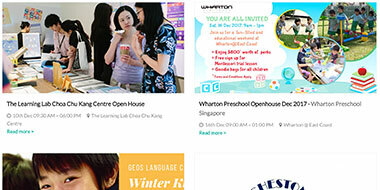 Everyday, hundreds of parents search for Preschools and Childcare Centres near them using Skoolopedia's Preschool Search Engine. On your School Info Page, parents can submit a "School Visit Request" to your school if they’re interested in enrolling their child to your school.